One of the usual features on Nigerian social media is the nostalgic passion with which Nigerians often distribute pictures of the old Nigeria Airways and how that company once considered one of the best in Africa was mismanaged and made to fail. Established in 1958, it was liquidated in 2003. I have seen pictures of old tickets, images of Nigeria Airways pilots and crew, and for anyone who travelled with Nigeria Airways, you cannot but be moved to pity. Pity yes, because while Nigeria, the most populated country in Africa can no longer manage an airline of its own, the African skies are dominated by such airlines as Ethiopian airlines, Air Maroc, Kenya Airways, and South African airlines. Rwanda has a functional airline too. There is also Air Namibia. The assets of the Nigeria Airways of old have not only been liquidated; most of its former staffs are wasting away. In the aviation sector, Nigeria has the biggest market in Africa, and has signed Bilateral Air Service Agreements with over 70 countries, but it lacks the capacity to compete. Even the few private airlines operating within the country are barely struggling to survive. The agony of the Nigerian air traveller is not something to be imagined: we all face a daily grind of disappointment from airlines that cancel flights at will and offer no explanation. When you complain, the airlines simply tell you that things are very hard. So, if things are hard, are they supposed to be so shabby? The other month, the door of an aircraft on the domestic route flew off as the plane landed. That has not stopped Nigerians from patronizing that same airline. Most of the countryâ€™s airports are also poorly equipped and poorly maintained. The air-conditioning rarely works; the toilets are a nightmare. Aviation is big business but more than that, it is a major catalyst for economic growth and development. If there is any sector that is in urgent need of rescue, the Nigerian aviation sector is that sector. It is therefore a thing of interest that the Federal Government says it is now determined to revitalize the aviation sector and bring back Nigeria Airways or Air Nigeria as it has been referred to. This much was disclosed when the Minister of State for Aviation, Hadi Sirika received a certificate of no objection, an Outline Business Case certificate of compliance it is called, from the Infrastructure Concession and Regulatory Commission (ICRC). Tomorrow July 18, in London, Minister Sirika is launching a Road Show to attract investors, and formally unveil the name, the logo, the colour scheme and the structure of the national carrier. It all sounds so exciting and I am sure many Nigerians who agonise daily over how other African countries seem to succeed where we keep failing would like to see Nigeria run its own national airline and create opportunities for the business sector. The only problem that I see is that there is so much that is opaque in the proposals that have been put forward so far by Mr. Sirika. Being a former pilot, the Minister is definitely not a tyro in the business, but as he engages both the local and international audience, there are many questions that must be addressed. I intend to raise a few of these in this preliminary comment. The Ministry of Transportation and ICRC, the regulatory body, do not seem to be on the same page. The ICRC and similar institutions involved may face challenges with their own reputation. The Outline Business Case Certificate by the ICRC seems to agree only in principle that a national carrier can be established. It goes further to give specific conditions under which this may be done, and the Minister himself has quoted some of these conditions which the Ministry under his watch seems to be breaching already. Having noted that the business case and market study submitted to it are â€œin substantial compliance with the ICRC Act, 2005 and the National Policy on Public Private Partnershipâ€, the ICRC avers: â€œThis certificate is granted on the condition that the Federal Government demonstrates her commitment to leverage private sector capital and expertise towards the establishment of the National Carrier through the provision of an upfront grant/Viability Gap Funding (VGF) to fund aircraft acquisition/start-up capital. The FGN also agrees to zero contribution to airline management decisions and zero management control by the government. Any attempt to impose government control over the management of the Airline invalidates this certificate and the entire processâ€. It goes further: â€œIn view of the fact that the mitigating conditions for the project may change over time, this Certificate is valid for 12 months from the date indicated below. This certificate is therefore issued to enable the Ministry commence an international open competitive bidding process to procure a world-class strategic investor to manage, operate, maintain, and invest in the National Carrier.â€ The ICRC provides further information on its website with regard to other aviation sector projects including the development of an aerotropolis, the establishment of a maintenance, repair and overhaul centre (MRO) and the development of cargo/agro-allied airport terminals. Except the role of the infrastructure concession regulatory body is a mere formality, I do not see any evidence that the Federal Government of Nigeria, through the Ministry of Transportation (Aviation) is keen about compliance with the strict provisions outlined in the Certificate of No Objection. The Road Show scheduled for Farnborough, London, tomorrow, does not sound like â€œan open competitive biddingâ€; it is a launch. Do you do a roadshow for a transaction that does not yet exist, or for a company that is not yet in existence? Minister Sirika and whoever his transaction advisers may be have already determined that the proposed airline would cost the Nigeria government $8.8 million. How was that arrived at? He has also talked about a take-off grant of $300 million to purchase 5 aircraft to be delivered by December 19? There certainly must be some known best practices in the setting up of a national carrier. Whatever business model, that we are following does not look like the very best. Who starts an airline by first buying aircraft at full cost? Hadi Sirika reportedly met with officials of Boeing, the aircraft maker in May. Would it not be better to lease the proposed five aircraft from Boeing and enter into a partnership agreement with them, with a private investor in charge of the new airline? The ICRC says the Federal Government must not operate or control the proposed airline. This is precisely what Hadi Sirika and his team are already doing. And if they say no, and insist that the private sector is already involved in the project, perhaps Mr. Sirika will disclose this tomorrow in London! But let him also disclose basic information about when the tender was placed for an â€œopen competitive bidding.â€ And if there was no tender, who is that person who may have appropriated the power to determine the private sector partners for the national carrier? And when Mr. Sirika talks about a N300 million for the purchase of five aircraft to be delivered by December 2018, he should be asked where that money is coming from? Is it provided for in the 2018 budget? And if so, under what line entry, or will the money come through virement? The National Assembly should raise these questions. Nobody should use taxpayerâ€™s funds to buy some end-of-life aircraft and claim that they are setting up an airline for Nigerians. I also find it curious that all the relevant persons and agencies that should be involved in the planning of something as important as a national airline have been quiet. Did the National Economic Council headed by the Vice-President discuss the matter for example? Is the Ministry of National Planning aware of it? Is the proposed airline part of the Economic Recovery Growth Plan (ERGP), and what is the framework in place to ensure fairness and transparency? 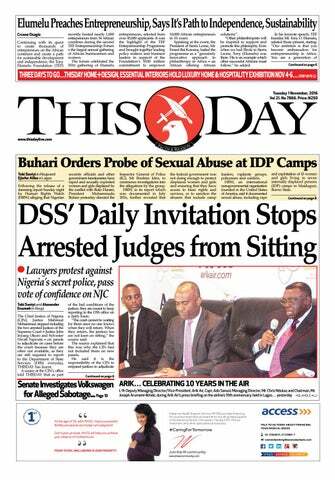 Is the substantive Minister of Transportation, Rotimi Amaechi even involved in this at all; his studied silence is odd. Or abi the thing no concern am? If Nigeria must have a national airline again, then we must get it right. This is my point. The ICRC is obviously insisting on private sector control and management, because it was government inefficiency that killed off the old Nigeria Airways. The airline became a gravy train for the big men in high places. They used the planes for their private purposes, including going for weekend parties in London at government expense. Directors of government agencies and departments travelled with the airline on free tickets. Nigeria Airways was supposed to provide a hub for the aviation sector in Africa, its eventual mismanagement made that impossible. We must learn from history in order not to repeat it. Sirika says the proposed airline will take advantage of the African Single Air Transport Market. The Open Skies Agreement is part of the African Continental Free Trade Agreement â€“ 44 countries signed up to it in Kigali in March. Nigeria wants to benefit from this agreement, but it is yet to make up its mind about the value of African integration and free trade. You see our people? â€œWe want to buy aircraft, we want to buy aircraftâ€¦â€ Thatâ€™s all I hear them saying as if an aircraft is a toddlerâ€™s toy. I raise another poser: why do we even have to create a brand new national airline from the scratch. The Federal Government, through the Assets Management Company of Nigeria (AMCON) is already in possession of three airlines that are indebted to AMCON: Arik Air, Aero and whatever is left of Virgin Nigeria or Air Nigeria. AMCONâ€™s mandate is to rescue these airlines and put them back on their feet. Can they not form the nucleus of the proposed national carrier; and turned, surviving assets and all, into one airline that Nigeria can brand for national purpose under the management of competent investors, and with government providing the needed oxygen? Would this not be more advisable than embarking on a new set of opaque transactions? Government can rescue moribund airlines such as the ones I have mentioned, encourage quality private sector participation, and just ensure a level playing field. A national airline that will be under the control of the Minister of Transportation in charge of Aviation, will sooner than later constitute itself into a threat to industry competitiveness. What remains is a moral question. Whatever the Federal Government decides to do eventually, it would be most unfair to set up a new national carrier without resolving the lingering matter of the unpaid entitlements and benefits of the old Nigeria Airways staff. When that company crashed, many lives were destroyed. Some of the pilots ended up as taxi drivers; many of the crew had to go and learn new trade, a few got jobs with the new commercial airlines. There was a time former Nigeria Airways staff formed a union and they used to carry placards to lament their fate and the injustice that they suffered. I donâ€™t see those placards anymore; they have probably given up hope, and some of them may have died. 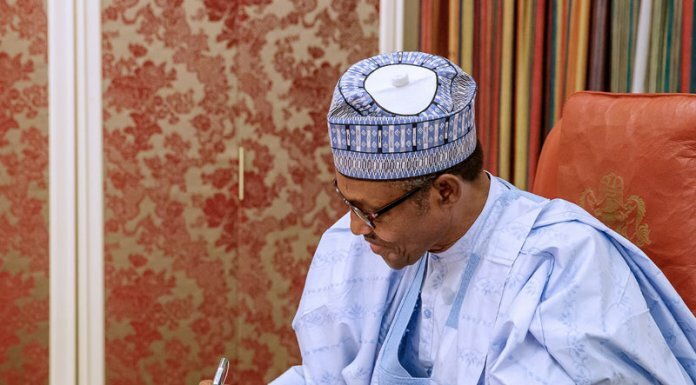 Not to pay their entitlements â€“ calculated at a total of N45 billion, and already approved for payment by the Federal Executive Council more than a year ago, would be an assault on their memory and an act of cruelty. The Minister of Finance, Mrs Kemi Adeosun has been in the eye of the storm, and that is putting it mildly. While I believe that she may be the target of a conspiracy against her by persons on whose toes she may have stepped, (otherwise, who is still worrying these days about NYSC certificate? ), it seems she herself has not helped matters by refusing to say a word to explain her dilemma. If she thinks the matter will blow away, the fact that the Federal Government has now intervened with the unconvincing claim that a probe is underway is a sure recipe for mischief. There are three weighty issues involved, in fact four: (1) she has been called a dodger. The NYSC Act does not permit anyone below the age of 30 to dodge a mandatory call to national service, except under circumstances that do not apply to her. At the time of her graduation from university, the Minister was 22 years old; (2) she is also being accused of forgery, or being an accessory to the act of forgery. 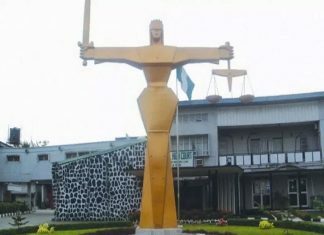 The NYSC has not been helpful by suggesting that although she applied for a certificate of exemption, after dodging the NYSC for eight years, the exemption certificate with her is unknown to them; (3) she is also being accused of having made false representation of herself on the basis of which she has taken very high jobs in Nigeria â€“ first as a Commissioner and now as a Minister. (4) some persons have labeled this an act of corruption, obviously in order to score a point against the government she is serving. It is a tough moment for her. Still, Mrs. Adeosun should be given the benefit of the doubt, which she is entitled to, but her silence is not golden at all: we need to hear her own side of the story, within a reasonable period of time. The burden of proof having shifted to her, her refusal to talk is a clear evidence of withholding which could destroy any presumption of innocence in her favour. It is also wrong for anyone to say on her behalf that at the time of her graduation, she was not a Nigerian citizen because she was born in England. Section 25(1) (c) of the 1999 Constitution states clearly that Nigerian citizenship includes â€œevery person born outside Nigeria either of whose parents is a citizen of Nigeriaâ€. So at what point did she renounce her Nigerian citizenship? And does she have a work permit to enable her work in Nigeria if indeed she is a foreigner? There are many lessons here for all young persons who were â€œborn abroadâ€ or who may not be excited about the NYSC.